To date, Avitone has released and licensed music to a variety of niche based taste-making labels around the globe including Universal Japan, Giant Step, Hed Kandi,Chillfunk, Ministry of Sound, Defected, Universal Japan, Sony Special Products, Logo TV, Nintendo, Revlon, Shanachie, Spectra Music and more. AVITONE Albums: Affection, (1995), Saturday Night Experience Vol. 1 featuring Jody Watley (2000), Midnight Lounge (2001), The Makeover (2006). Paradise EP (2014). SRL was formed in 2015 by Jody Watley and within one year would change their name twice (Shalamar once Watley acquired the USPTO trademark, then Shalamar Reloaded) before settling upon Jody Watley & SRL in 2017 to truly have the fresh start the trio deserved since the focus was always on creating new music and appealing to a new generation and fan base. “Jody Watley and SRL.” Much like Prince had The Revolution, NPG, and Third Eye Girl (among many other projects and aliases) as extensions or branches of his music and creativity, Jody Watley feat. SRL allows Ms. Watley another outlet for her artistic expression. SRL members Rosero McCoy and Nate Allen Smith – gifted singers, dancers, and choreographers in their own right – bring their own cool style and vibe to Ms. Watley’s trademark high-energy, all-love live performances, and the trio’s critically acclaimed concerts draw SRO crowds around the world. With musical influences that include Kaytranada, Anderson Paak, and Little Dragon, they’ve released several chart-topping hit singles in Europe, including the Alex Di Ciò remix of “The Mood.” Their forthcoming album will be a seamless mix of dance grooves, funky beats, deep House, contemporary R&B, and ambient ballads accented with guitar flourishes. Jody Watley & SRL scored their first hit single in 2018 with the rework of their single “The Mood” Remixed by Alex Di Cio from Italy. Past. (All prior releases by SRL have been removed from digital outlets for clarity). Jody Watley returns with her glamorous and funky new album, PARADISE. As executive producer at the helm of her own label, Avitone, Watley continues to convey her commitment as a savvy entrepreneur. Proving that quality rules over quantity, pre-orders for the 6 track album sold out in less than one week. PARDISE is available world-wide on iTunes, Amazon and other digital music outlets. 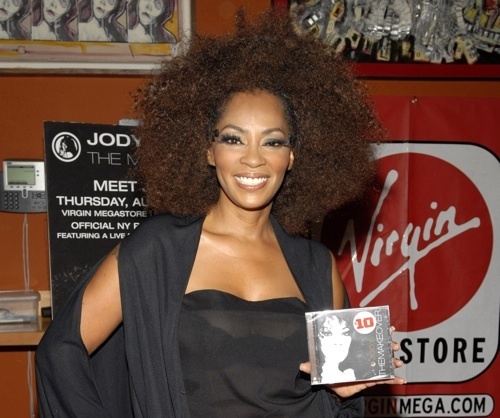 A limited edition CD which was encouraged by her devoted fans, that includes the bonus track Everlasting, is available exclusively on Jody Watley’s online boutique. Avitone enters non-exclusive agreement with retailer Abercrombie & Fitch for their members only web promotion for download of the “Nightlife” single for a limited time. Jody Watley’s “Nightlife” impressively reached the Top 5 Urban Music Charts in the UK, #6 Commercial Pop and Top 20 on the Billboard Club Play Charts. The Avitone release made this chart showing amidst major label big budget releases and higher profile younger artists. High profile interviews and features for Avitone’s Jody Watley included a cover story heralding her status as a pioneering music maverick in a dual cover story for Wax Poetics shared with Janelle Monae,Yahoo Music, Eurweb, Singersroom, Ebony, Jet, Uptown ICONIC series, Upscale, Black Sophisticates Hair, and more. Watley also appeared on Access Hollywood LIVE with Billy Bush. The “Nightlife” campaign served to bring a greater awareness of Watley’s evolution and success through decades with strategical planned PR blitz helmed by Juanita Stephens who was one of the publicists of Ms. Watley’s breakthrough solo debut in 1987 “Jody Watley” on MCA / Universal. 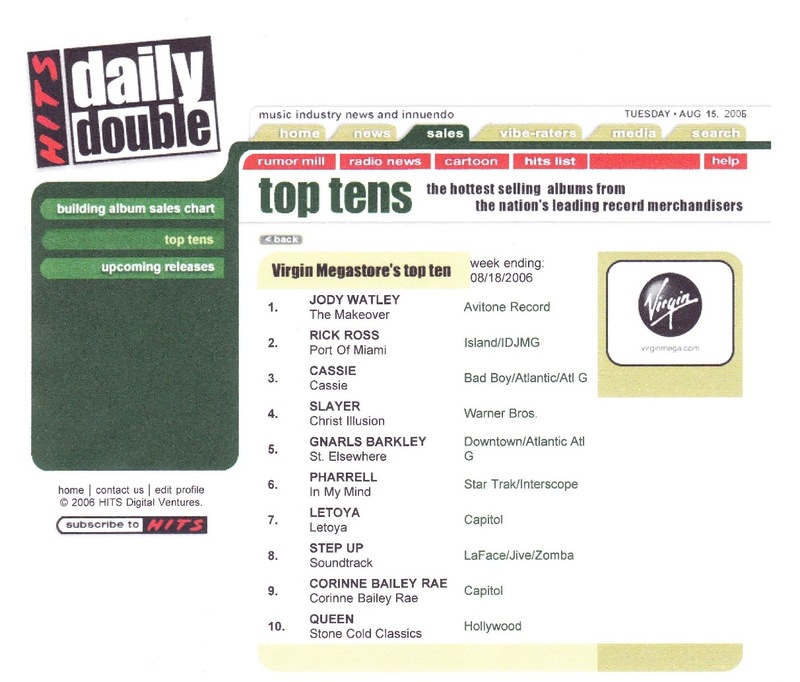 In the UK the radio campaign is handled by Steve Ripley at Soulfood Music, and Music House. Accompanying the single are various fan made video’s, two lyrical video (original and Moto Blanco Remix). Remixes were completed by Moto Blanco, Jodie Harsh, Dave Doyle, Soulpersona and Luminodisco. The video for “Nightlife” premiered on VIBE.com. Ms. Watley, who has mastered a career in keeping a career in dance and R&B music going, continues her legacy on the shimmering dance floor classic, inspired by her well documented roots in funk and soul music. The veteran song stylist has created an energetic dance floor anthem that is innovative, while also paying homage to her many influences. “Nightlife” is available on iTunes and select digital outlets and limited edition 12″ vinyl. The single also features fellow original Shalamar lead singer Gerald Brown. Watley’s soulfully spirited, up- tempo album Paradise is scheduled for release in early 2014 on her longtime imprint Avitone. video from the song captured the attention of fans around the world. She became a trendsetting sensation, gracing the covers of some of the most prominent magazines, fashion layouts and early celebrity ad campaigns throughout the United States, Asia, Latin America and Europe. Her influence can still be seen and heard in younger female artists today. Shifting Paradigms. 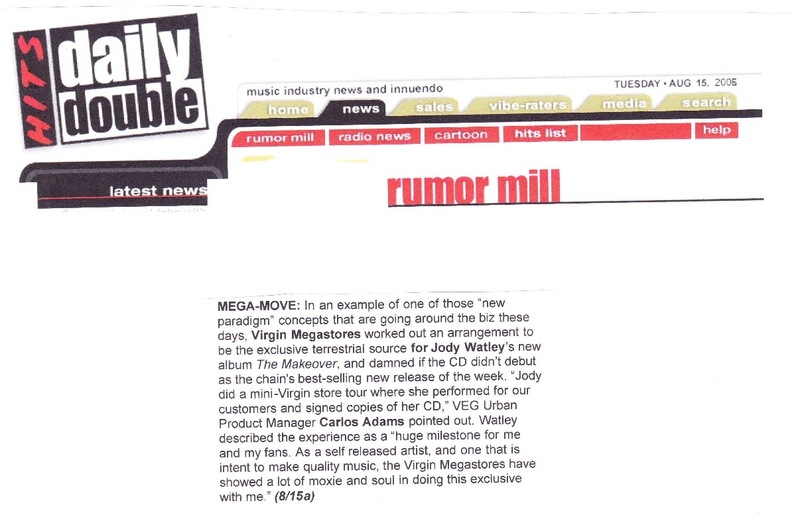 In 2006, Watley’s “The Makeover” Avitone partnered with music retailer Virgin Megastore, high-end cosmetics company Shu Uemura and local beauty salons for an exclusive release with special in-store appearance, fan make-overs, live performance and autograph signing. The partnership was an early successful strategic partnership signaling the continued changing landscape for artists releasing music independently. The Makeover release debuted at #1 for the chain where it remained for 5 weeks without a radio single. Upon release at iTunes, “The Makeover” debuted at #3 Top Electronic Albums and subsequently produced 3 Top 5 Billboard Dance Hits (Borderline #2, A Beautiful Life #5, I Want Your Love #1). The Jody Watley makeover of the CHIC classic “I Want Your Love” also went to #1 Commercial Pop in the U.K. according to Music Week, giving Watley her first UK #1 in 20 years. Personal emails to Jody Watley, Shalamar Reloaded, Unsolicited music, non-business related to licensing enquires will be deleted Immediately. Updates on forthcoming Jody Watley and SRL music is posted on the home page.